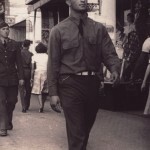 Harold Joslin was born in Sequim, Washington in 1918. 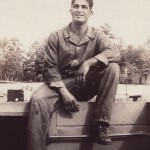 Joslin had never before been on a boat, or even on the water for that matter when he joined the Navy in 1939. 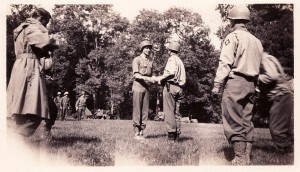 After basic training, Joslin was sent to radio school where he was brought up to speed on the latest radio technology. 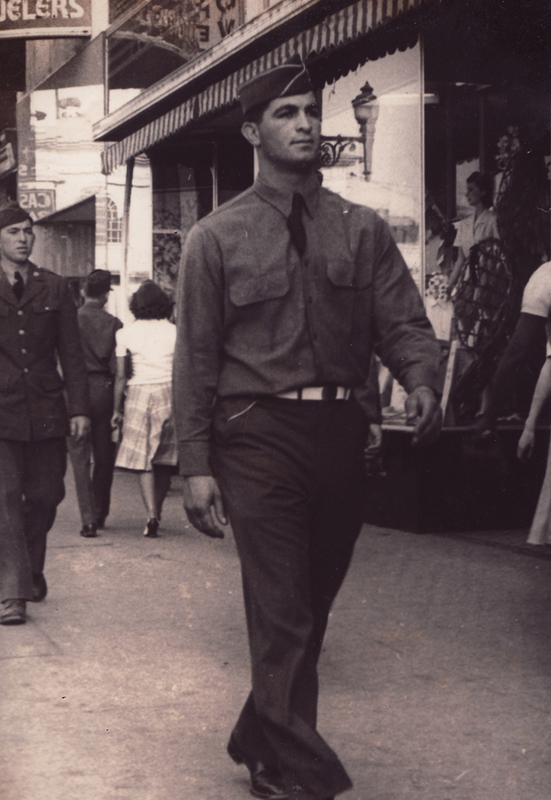 His proficiency with a radio was duly noted and he was officially assigned to be an intercept operator on Guam. 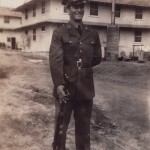 Joslin was sent to Guam in May of 1940. Joslin’s wife, Mrs. Marie Elizabeth Joslin, was sent to Guam in September of 1940. As the political situation in the Pacific was deteriorating, all dependents were ordered off of Guam in October of 1941. The Japanese invaded the island on December 8th, 1941. Joslin recalled that he and eight other radio operators took to the hills of Guam to evade capture. 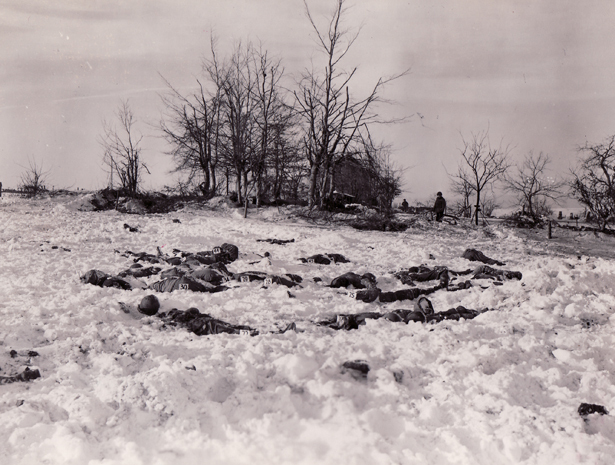 On December 9th, a patrol of Japanese soldiers located the nine men and captured them. Joslin was immediately put into the Dulce Nombre de Maria Cathedral with the other American prisoners of war. Joslin and the other prisoners remained in this church for a month, living off of a meager portion of rice and soup. 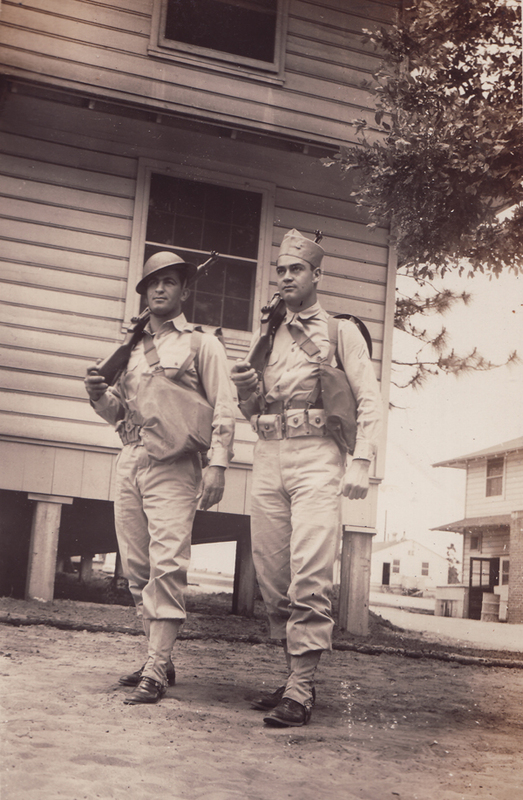 The native population of Chamorrans on Guam deeply resented the Japanese occupation, often paying the ultimate price for colloborating with the Americans. In one such instance, Joslin recalls a Chamorran who wrapped up a message for the Americans into a bundle of food. The Japanese intercepted the message and the Chamorran man was beheaded. Joslin then boarded the Argentina Maru, an old freighter, bound for Japan. Joslin recalls that even though it was late spring, it was very cold when they landed in Japan and the men huddled together for warmth. For the next 45 months, Joslin remained in captivity at Zentsuji, the prisoner of war camp. 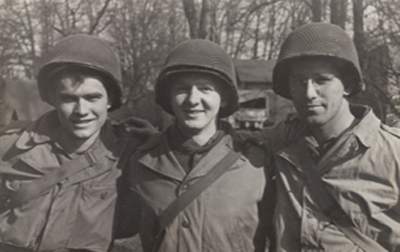 Joslin passed the time by studying, reading the Bible, and doing his best to maintain morale among the men. 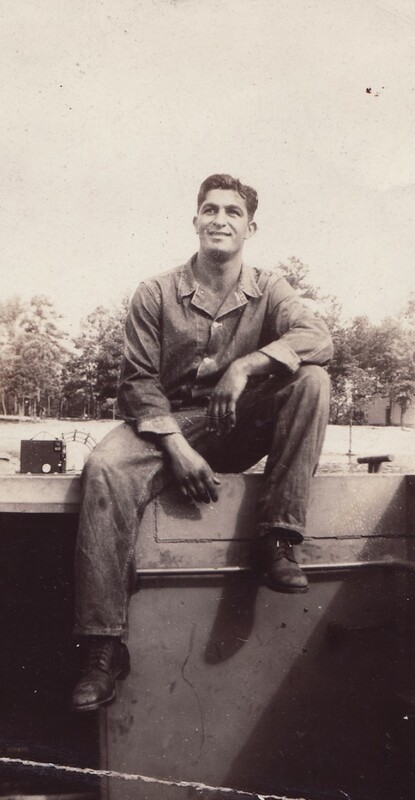 When Joslin was not maintaining morale, he worked on a dock transporting food and supplies off of Japanese ships that were constantly coming in. Joslin was able to steal food from these ships and he notes that he was always looking for a way to sabatoge Japanese equipment. The Japanese allowed a certain number of messages to be broadcasted from Tokyo via short wave radio. The following is one of the messages that Harold Joslin was able to send during his captivity. He chose to make the message out to his wife. Joslin returned to the United States after his captivity and remained in the Navy until 1976. Harold Joslin was interviewed on March 1st, 2012 at his home in Northern Virginia by Special Projects Historian Tom Gibbs. Colonel Van T. Barfoot, a Medal of Honor recipient from World War II, died earlier this morning at 92 years old. 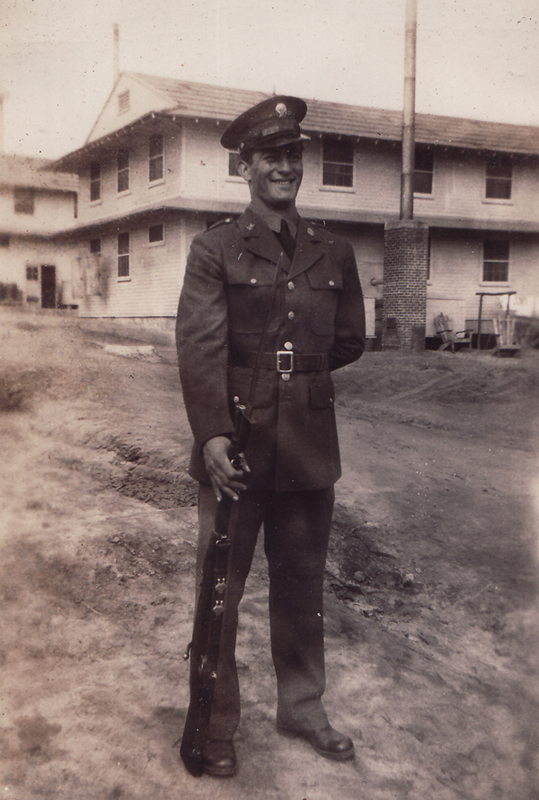 Always very patriotic, Barfoot joined the Army in 1940 before the start of the draft and by December 1941 was promoted to Technical Sergeant in L Company, 157th Infantry, 45th Infantry Division. In July 1943, Barfoot took part in the invasion of Sicily and fought at Salerno just two months later. In January 1944, Barfoot landed at Anzio and with his unit pushed inland. By May his unit held a defensive position near the town of Carano, Italy. During his time there, Barfoot lead numerous patrols during the day and night over the next four weeks in an effort to probe the German lines. While out on patrol, he learned the layout of the German minefields, which would prove important for a future attack. On May 23, his company led an attack against the Germans. As a squad leader, Barfoot requested to lead his squad to the German flank, going through some of the German minefields to get to the enemy positions with minimal casualties. Barfoot led his men to the minefields and placed them in a position to defend a possible withdrawal. Being so familiar with the area, he personally moved through ditches and depressions in the terrain toward the enemy. Barfoot reached the first enemy machine gun on the far right flank and destroyed it with a hand grenade, killing 2 and wounding 3 Germans. He continued along their defensive line to the next gun emplacement and immediately killed two soldiers with his Thompson sub-machine gun, while wounding and capturing three others. As he approached the third gun emplacement, the Germans there surrendered to him. He left the prisoners there for his support squad to pick up and proceeded to “mop up” the area and captured a few more prisoners. In total, Barfoot captured seventeen men during his attack. Barfoot and his men then occupied the German positions. Later that afternoon, the Germans launched a fierce counter attack on Barfoot’s position. With a bazooka, he knocked the tracks off of the tank closest to his position, causing the other two tanks to move away towards his flank. As the crew of the disabled tank attempted to dismount, Barfoot quickly grabbed his Thompson submachinegun and eliminated them. Along with the attack that afternoon, Barfoot also discovered several abandoned German artillery pieces and disabled one of them. At the end of the day, Barfoot aided two of his severly wounded men and carried them to a safe position some 1,700 yards away. 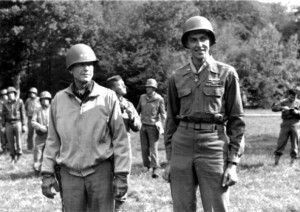 Not long after this action, Barfoot received a promotion to 2nd Lieutenant and soon afterwards learned that he was to be awarded the Medal of Honor for his actions on May 23, 1944. Given a choice to return to the United States for the award or to be awarded in the field, Barfoot felt it was important not to leave his men. On September 28, 1944, Lieutenant General Alexander Patch awarded him the medal in Épinal, France (see photos below). 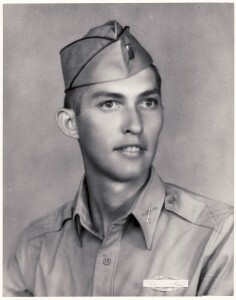 Van T. Barfoot retired from the US Army as a Colonel, after also serving in the Korean and Vietnam wars. Colonel Barfoot has been a long time friend of The National World War II Museum. He was awarded the Museum’s American Spirit Award in 2008 and attended our most recent Grand Opening event in 2009. Colonel Barfoot’ s story will live on within future exhibits of the museum that will be featured in our US Freedom Pavilion and the Museum’s Campaigns Pavilion in the near future. It was personally a great honor to know Colonel Barfoot and to be able to call him a friend. I will always remember his unique sense of humor, his patriotic feeling towards this country and his devotion to God. We have lost another great warrior and hero of World War II. While he may be gone, he will never be forgotten. 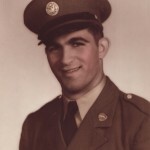 Lynn D. “Buck” Compton, leader of the 2nd Platoon of Easy Company, 506th Parachute Infantry Regiment, 101st Airborne Division, died on February 26, 2012 at the age of 90. 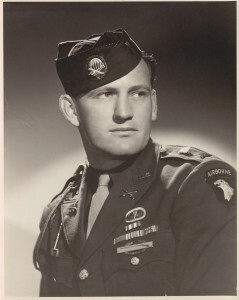 During World War II, Compton joined Easy Company in Aldbourne, England and entered combat with them during the invasion of Normandy on June 6, 1944, parachuted into Holland for Operation Market Garden, and suffered through the bitter cold in Bastogne during the Battle of the Bulge. After the war, Compton attended Loyola University Law School on the GI Bill and became lead prosecutor for the trial of Sirhan Sirhan, the murderer of Robert F. Kennedy. He became a judge in the California Courts of Appeal and served there for twenty years, until he retired in 1990. 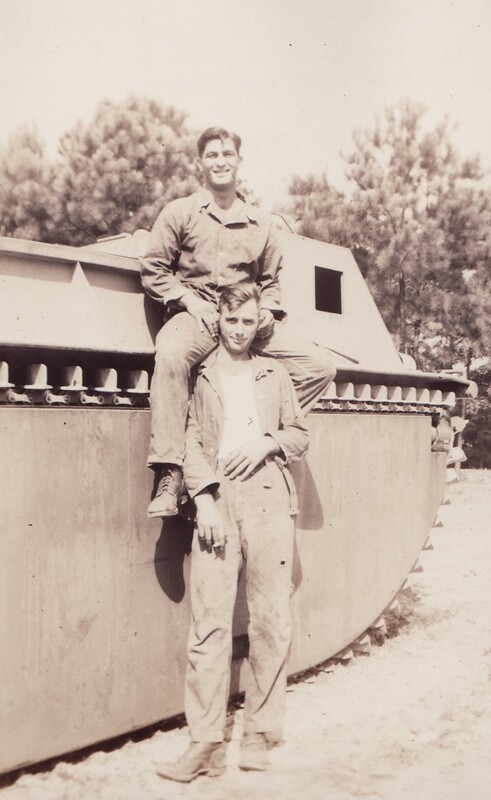 “Buck” Compton entered the public spotlight when Dr. Stephen Ambrose wrote a book about Compton’s World War II unit entitled Band of Brothers. 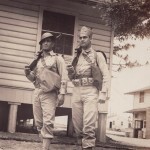 Several years later, the book became a popular ten-part HBO miniseries that enabled the men of Easy Company to become household names around the world. Even ten years after the series first aired, it is considered one of the most important World War II books and film projects ever produced. Humbled in his service, Compton contiued to promote the series and the story of Easy Company at various military shows and museum events across the country up to the day of his death. He was a good friend and supporter of The National WWII Museum and participated in several events throughout the Museum’s history. We will miss him dearly and will continue to honor his memory with all of the Americans that fought and gave their lives in World War II. ” I don’t think what I personally did in the war was any big deal. The men who didn’t come back again, so that we can enjoy the freedoms we hold today – the men who gave life and limb for us – they are the real heroes. I don’t want anybody venerating me for my military service. Venerate those who live with injuries today and those who didn’t come back.” – Lynn D. “Buck” Compton, Call of Duty: My Life Before, During, and After the Band of Brothers. Read the obituary for Lynn D. “Buck” Compton. Ardell Bollinger had always wanted to fly. No matter what it took, the Pennsylvania bred boy wanted to be in the air when it came time for him to serve his country. 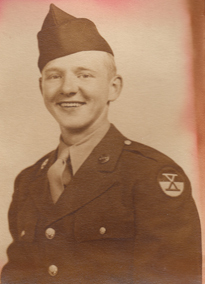 Bollinger joined the Army Air Corps with the sole intention of joining the ranks of men flying above the earth and attacking America’s enemies through the air in 1942. “I knew that I wanted to fly, there was never any doubt as to where I wanted to go and fight.” recalled Bollinger. After taking his initial Air Corps training as a radioman, Bollinger was assigned to the fledgling 384th Bomb Group and learned his trade in the venerable Boeing B-17 “Flying Fortress”. The 384th began its training in Gowen Field, Idaho in December, 1942 upon their activation as a combat unit. The 384th were then shipped all across the country to locations such as Wendover Field, Utah and Sioux City, South Dakota. It was from there that the 384th received their orders for combat. Rumors ran wild amongst the men as to where they were to fight. 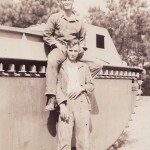 Many men wanted to see action in the Pacific in order to carry the war to Japan, but others, such as Bollinger, just wanted to get the job done and weren’t concerned with whom they were to fight against. 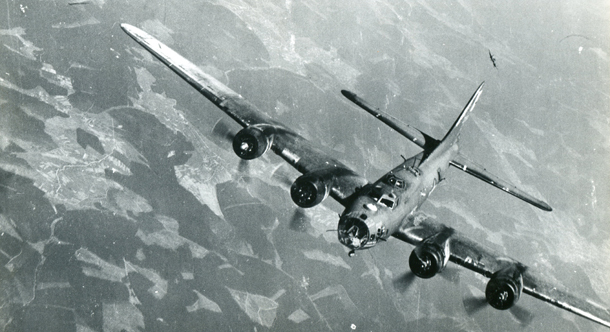 On May 3, 1943 the 384th Bomb Group and Ardell Bollinger left the United States bound for England and the Eighth Air Force in order to conduct heavy bombing missions on Hitler’s Germany. The trip across the Atlantic took many days as the first of the bomb group’s “forts” arrived at their home field of Grafton Underwood on May 25, 1943. Bollinger and the 384th flew their first combat mission against the enemy on June 22, 1943 with a mission to Antwerp, Belgium. Ardell followed his baptism of fire with seven more missions to targets such as, Hamburg, Germany, Paris, France, Le Mans, France, and Abbeville, France. 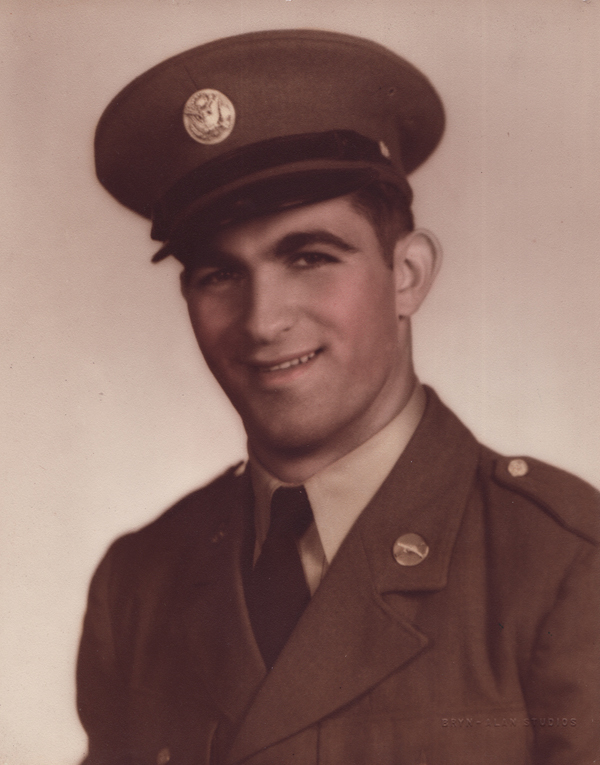 By September of 1943, Bollinger had completed eight missions as a radio operator in several different B-17’s. 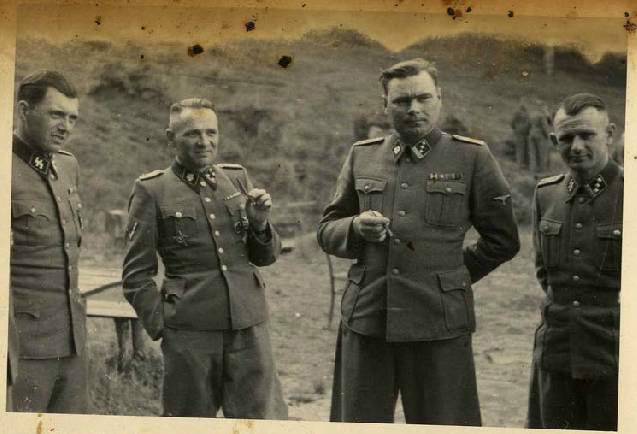 Josef Mengele (left) with other SS officers at Auschwitz. From the Hoecker album, courtesy of the United States Holocaust Memorial Museum, Washington D. C.
Dr. Josef Mengele (1911-1979) is a name associated with inhumanity at its worst in the modern world. Unlike Adolf Eichmann, for example, whom Hannah Arendt famously personified as the “banality of evil,” claimed only to follow rules and do simple paperwork which ultimately led to mass murder; Mengele, on the other hand, basked in the freedom which the racist ideology of the Third Reich afforded him. Most infamous for performing savage experiments on living—and unwilling—subjects, mainly children, Mengele is also often remembered by survivors for his cold decision-making during the selektion process at the entrance of Auschwitz-Birkenau. He was one of several doctors who decided who would live to work, and who would be sent to the gas chambers immediately. Mengele held two doctoral degrees, one in anthropology and a second in medicine. It was while studying in Frankfurt that Mengele met and came to idolize Dr. Otmar von Verschuer, who was known for his work in genetics and more specifically twin studies, interests which Mengele latched onto. In 1937 Mengele joined the NSDAP, and later volunteered for service with SS Medical Corps. In this capacity, he worked as a genetics researcher with the SS-run Race and Resettlement Office (RuSHA) in Posen. RuSHA’s foremost mission was to maintain the so-called racial purity of the SS by means such as approving the marriages of members of the SS—only after several weeks of invasive scrutiny of a chosen partner and her family background. In 1942, Mengele was sent to the Eastern Front with the 5th SS Panzer Division Wiking, where he was wounded while serving as a combat surgeon and transferred back west due to his injury.